Carlton Court is one of the leading providers of serviced apartments at affordable rental rates. 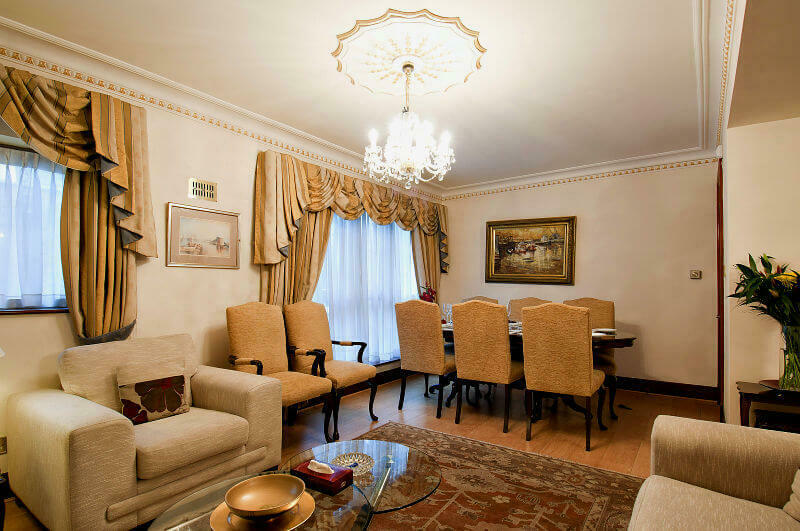 However, we understand that when you are booking your accommodation in London, it is not always easy to choose between a serviced apartment or a hotel. The decision is especially hard if you have never stayed in a self-contained flat before. So, below are a few reasons why our serviced apartments are better than conventional hotels. At Carlton Court, we strive very hard to deliver our guests that homely feeling that they desire. Whether you are staying in London for pleasure or business, it is important that you feel as if you are living in the city. Our fully furnished flats will become your home for the duration of your stay and this feeling cannot be matched by indifferent hotel rooms. Our Mayfair serviced apartments London are spacious enough to take good care of your comfort needs. On average, hotel rooms are much smaller than serviced apartments and small is not always cozy. Hotel rooms simply cannot offer you the breathing space that our commodious flats can provide you. Even our one-bedroom apartments come with separate living, dining and sleeping areas, along with a fully-integrated kitchen. Such amazing living arrangements are seldom available in hotels for an affordable price. Hotels seldom offer any service for free and in addition for paying for the small room, you will also have to pay for their services. On the other hand, our serviced apartments come with inclusive services, such as housekeeping services for 7 days a week, free breakfast everyday of your stay, concierge services 24/7 and so on. Our one, two and three-bedroom serviced apartments are the perfect option for you if you want to stay lavishly without receiving a large bill. So, for your next London trip, allow us to make you feel special and at home. Call us, today!